At the same time that Gibson introduced the Bella Voce in 1927, it also introduced the Florentine, which became it's most popular, and largest selling carved Mastertone. 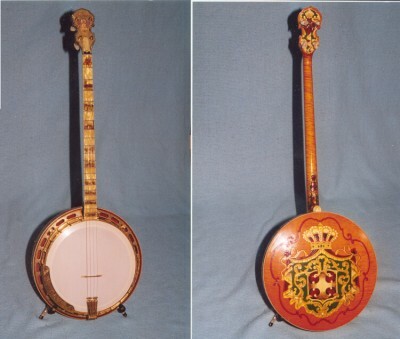 It was Gibson's top banjo until the All American made it's appearance. This banjo was much more ornate than the Bella Voce. 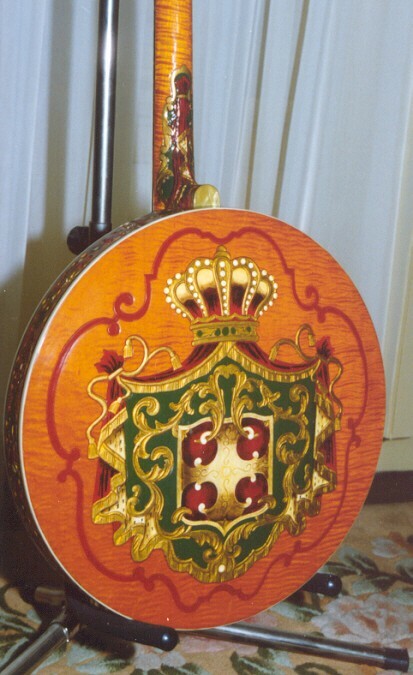 The back of the resonator was hand carved with the coat of arms of the city of Florence, Italy. 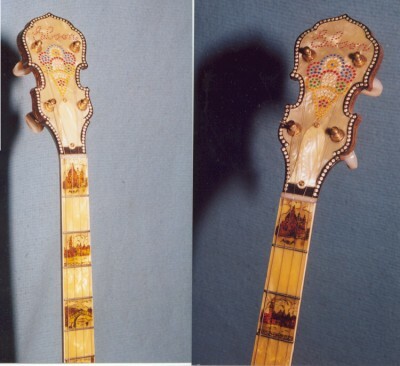 The fingerboard was colorfully illustrated on the position markers with scenes of Renaissance Venice. It was offered in four distinctively different woods, and many different bindings. The one pictured here is the American Curly Maple version. It's serial number of 8760-2 would mean a date of 1927. The peghead features a bed of celluloid which is inlaid with the Gibson logo and a pattern of multi-colored rhinestones.The torch decoration is commonly called the "ice cream" design by collectors. 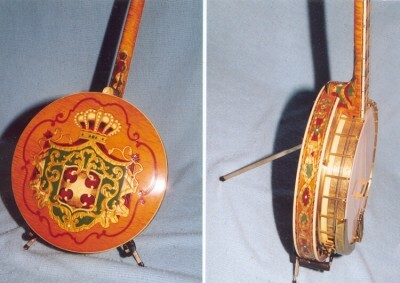 The Florentine continued in production until the mid 1930's.